(Summer in Kashmir: 'The Land and its Peoples) by F. Michel (1907). 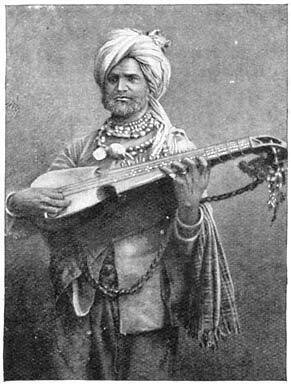 It is widely believed that the first person to bring works of Kashmiri poet Mahmud Gami (1750-1855) to western world was Karl Frederick Burkhard when in 1895 he partially published Gami's retelling of 'Yusuf Zulekhah' in a German magazine. Last night, I came across something that proves that Mahmud Gami's words may have actually reached west a couple of decades earlier due to incidental travel journaling by a British painter, who also happens to be a blood relative of Virginia Woolf. In 1877, after sketching the royalty of the Kingdom of Jammu and Kashmir, while on his way back, at Thanna Mandi, a place near Rajouri, in the afternoon of 13th June, V. C. Prinsep (1838-1904) met a traveling Kashmiri bard, a singing fakir, who regaled him with Kashmiri songs for hours while they walked. Preinsep made some notes, and later got two of the songs translated. He was a filthy object, the dirtiest of the dirty; but he had the soul of a poet, and as he played his poor four-stringed instrument, he threw his head on one side, and bent over his guitar, much as first-rate performers do at home. He was grateful too, for when I left at 5 a.m., I found him waiting, and he played to me along a couple of miles of road, with his dirty legs keeping time to the twang of his music, and his nose well in the air ; neither would he leave until I gave hookham or permission. My good friend Major Henderson [C.S.I., who was political officer in Kashmir, and an excellent linguist.] has sent me translations of two of this poet's songs. 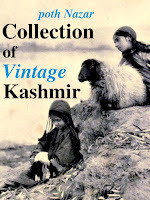 One appears to be well known as the love-song of Mohammed Gami, a Kashmir poet. I will encircle thee with my arms, O Bee ! What said I to thee that vexed thy heart with me ? By God, I adjure thee, tell me what is in thy heart. O dear friend, where didst thou flee from me ? Forsaking me, Sundar, O Bee ! " I should like to have imported my poet as he appeared to me in his rags and filth ; yet is his love-song much like such as are sung in the drawing-rooms of Belgravia. The second song is another love-song, and the name of the poet is not known. "Go, O bosom friend, bring me my lover, gently, gently. In anger he left me, sore and vexed : what offence could I have caused him? For wealth and pearls what care I ? or the bells attached to my skirt ? O friend, sit with me in the shade of a wide-spreading chenar ! Let not the calumny of an enemy affect thee. I am helpless. For my beauteous and graceful lover a divan and couch I will prepare. If he is not pleased with me, for whom shall I prepare them ? See what happened to Shuk Sanaa for the sake of the Hindoo maiden ! He wore the sacred thread, he cherished swine with his own hands ! " 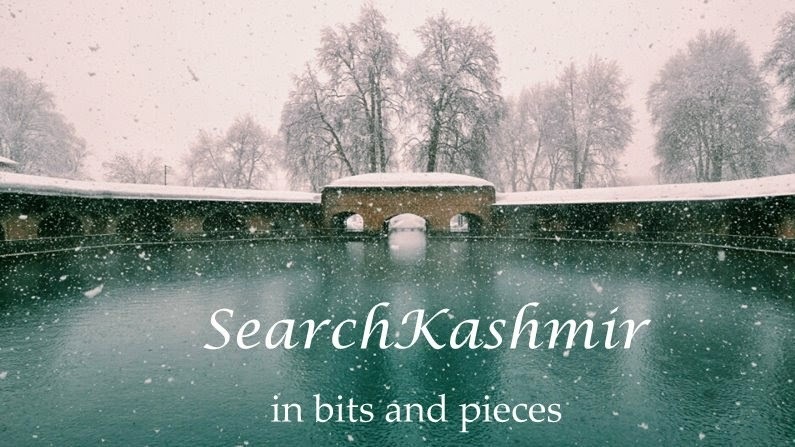 As is turns out, the second song is from work called 'Shekh Sana', a version of which among others was put to Kashmiri verses by Mahmud Gami.